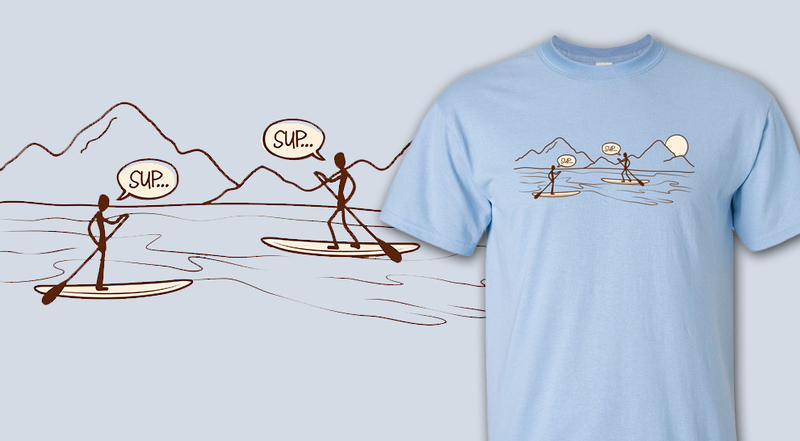 SUP - What Could Be Better? - WCBB? Stand Up Paddleboarding (SUP) is a fun and challenging activity. This design captures the laid back and fun nature of this activity and plays on the fact that it sounds like “What’s Up?” It is an awesome core body strengthening activity and allows you to explore oceans, rivers, streams and ponds in a whole new way. Plus, any activity where you can also start to practice yoga or bring your dog along is bound to be awesome! This activity definitely brings you closer to nature while delivering a full-body workout. If you haven’t yet, it’s a great activity to try out! What Could Be Better?